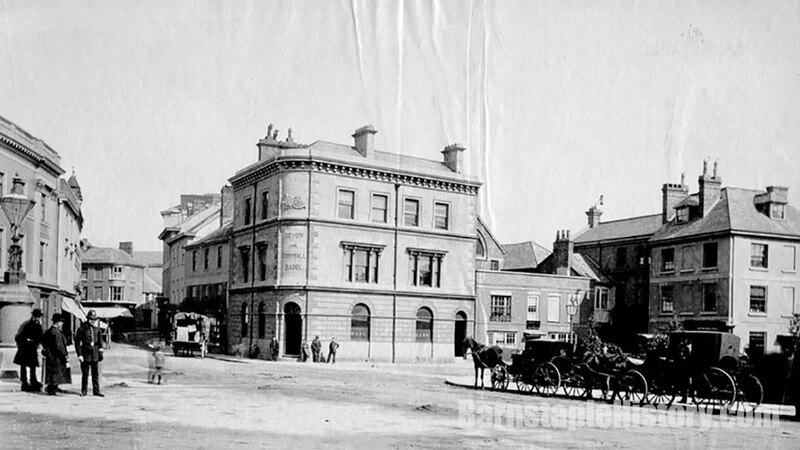 Here’s an old image of Barnstaple Square that works quite well as a “Then & Now” slider. Glance at the old image and you might think it looks almost identical to today. 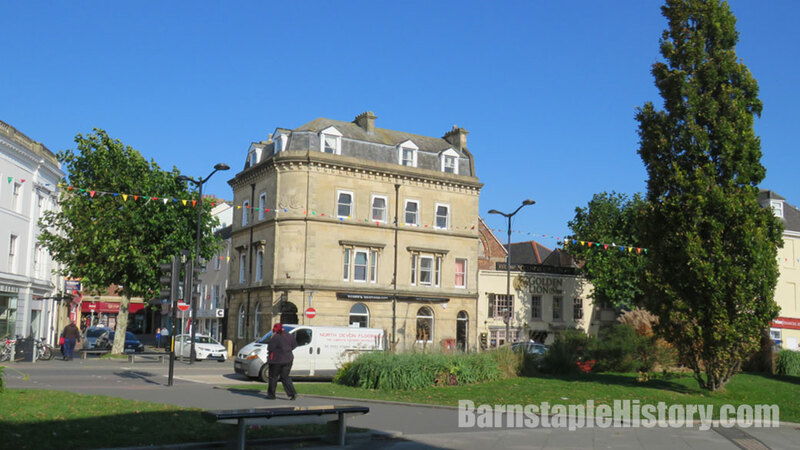 Swipe the slider left and right and you’ll notice plenty of changes – some subtle & some not so, like the extra storey sprouting up on top of the building in the middle there. JP.